Frank Stronach founded Magna in 1957 and built the Aurora, Ont.-based firm into one of the world’s largest auto-parts companies. Frank Stronach founded Magna in 1957 and built the Aurora, Ont.-based firm into one of the world’s largest auto-parts companies. 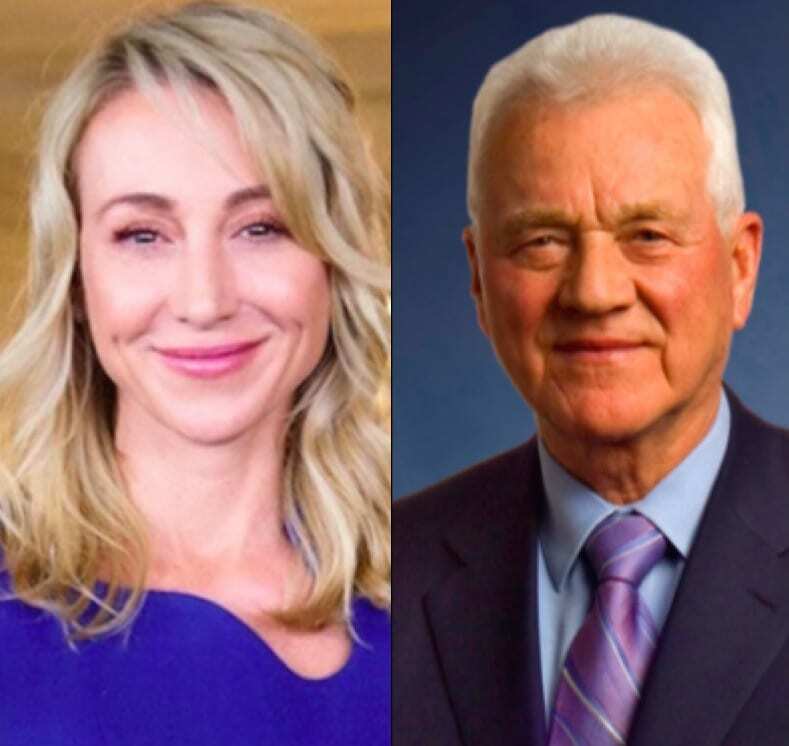 Now, a long-running family feud has spilled into the courts as Mr. Stronach launched a $520-million lawsuit against his daughter Belinda Stronach and her perceived allies, alleging they mismanaged his fortune and froze him out of the business he built. Here is a look back at Mr. Stronach’s career. 1932 Frank Stronach born in Austria. 1957 Forms one-man tool-and-die company, Accurate Tool & Die, in a Toronto garage. First-year sales: $70,000 (Canadian). 1959 Company receives its first auto parts contract, with General Motors, for metal-stamped sun-visor brackets. 1960 Second plant opens in Richmond Hill, Ont. 1965 Canada and the United States sign the auto pact. 1966 Ms. Stronach is born. 1969 Company merges with Magna Electronics Corp. Ltd., a publicly traded aerospace, defence and industrial components manufacturer with annual sales $4.5-million (U.S.). 1971 Mr. Stronach becomes chairman of Magna. 1972 Magna opens its first U.S. division, in Iowa. 1973 Magna Electronics Corp. Ltd. changes name to Magna International Inc.
1981 Magna sells its aerospace and defence operations. 1986 Mr. Stronach founds Magna Europa. 1988 Mr. Stronach steps down as CEO of Magna (but remains as chairman) and jumps into federal politics. He runs as a Liberal and is defeated in York-Simcoe. Ms. Stronach, in her early 20s, joins the Magna board. She had started working at the company several years earlier. 1989 Magna co-designs and co-develops the integrated child-safety seat. 1990-91 Magna restructures; sells non-strategic operating divisions. 1992 Magna lists on the New York Stock Exchange. 1996 Mr. Stronach is inducted into the Canadian Business Hall of Fame. 1998 Magna acquires Steyr-Daimler-Puch, one of the world’s leading automotive technology and engineering companies, gaining the ability to make complete vehicles. 1999 Forbes magazine names Magna the world’s top auto parts company; annual sales hit $9.3-billion; Mr. Stronach named a member of the Order of Canada. 2000 Racetrack operator Magna Entertainment Corp. spun off as separate company; one of Mr. Stronach’s horses wins the Preakness Stakes; Mr. Stronach wins his third Eclipse Award for Outstanding Owner. 2001 Ms. Stronach becomes CEO of Magna. 2003 MI Developments Inc. spun off as separate public company. 2004 In January, Ms. Stronach resigns to run for the leadership of the new Conservative Party of Canada. In March, she is soundly defeated by Stephen Harper. In June, Ms. Stronach is elected as a federal Conservative MP in Newmarket-Aurora. She crosses the floor to Paul Martin’s minority Liberal government in 2005. 2007 Russian billionaire Oleg Deripaska announces $1.54-billion (U.S.) investment in Magna, arranged with Mr. Stronach in a deal they codename Project Pearl. 2007 In September, Ms. Stronach returns to the company and becomes executive vice-chairman. 2007 Mr. Stronach signs ground-breaking deal allowing Canadian Auto Workers’ Buzz Hargrove to organize approximately 18,000 workers at about 60 Magna factories in Canada. The workers will not have the right to strike. 2007 New York equity firm Cerberus Capital Management LP buys Chrysler from DaimlerChrysler AG, topping Magna International’s $5-billion bid (made with partners Toronto-based Onex Corp. and Blackstone Group). 2008 Mr. Stronach establishes an agricultural business in Florida. This becomes Adena Farms, a 90,000-acre property focused on grass-fed cattle. 2008 Magna announces development of an electric vehicle; becomes the largest automotive parts supplier in North America with annual sales of $23.7-billion. 2008 Mr. Deripaska, crippled by global financial crisis, is forced to hand over his stake in Magna to his banks after a margin call, returning full control to Mr. Stronach. 2009 Magna-led bid for Adam Opel GmbH falls apart after General Motors Co. reverses decision to sell a majority stake in its battered European subsidiary. 2010 The Stronachs cede control of Magna in May. The deal sees Mr. Stronach, his wife Elfriede, and children Belinda and Andrew receive a total of US$863-million in cash and stock in exchange for eliminating their multiple-voting shares. 2011 The Stronachs focus on The Stronach Group (TSG), a company that controls the family’s horse-racing holdings – such as Santa Anita Park near Los Angeles – and other assets. Ms. Stronach is the CEO and later becomes chairman. 2012 Mr. Stronach starts a political party in Austria. In September, 2013, the party wins about 6 per cent of the vote in national parliamentary elections and gains 11 seats. In early 2014, Mr. Stronach resigns his seat. The party dissolves in 2017. 2014 Mr. Stronach returns to the family company and focuses on Adena Farms. 2015 The Adena Golf and Country Club opens. However, the lawsuit alleges, moves by Ms. Stronach and TSG CEO Alon Ossip put the farm in a “precarious position.” From the outside, the Stronach fortune appears healthy. Mr. Stronach’s wealth is pegged at $3.1-billion by Canadian Business. The magazine ranks him the 31st-richest person in Canada. 2016 Mr. Stronach is told about “significant liquidity issues” for the first time in November, the lawsuit alleges. He is also told he has no authority to make decisions for the company. 2017 Following an agreement to invest US$40-million in Adena Farms, the lawsuit says Ms. Stronach takes “steps to further marginalize” Mr. Stronach’s role in TSG. 2018 In July, Ms. Stronach takes “steps to abruptly close” the golf facility “over Frank’s repeated objections,” the lawsuit says. The behind-the-scenes fight goes public in October when Mr. Stronach sues his daughter and others.